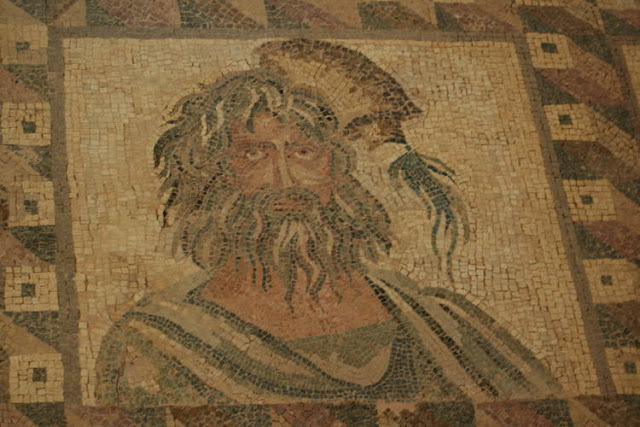 Apollonius of Tyana : Apollonius' travels with companion: "Damis of Ninevah"
Apollonius' travels with companion: "Damis of Ninevah"
Image - mosaic of Apollonius of Tyana at the temple of Paphos in Cyprus (unconfirmed). The description on this image found on Ajit Vadkayil's blog post is unclear. The caption provided (near the bottom of the article) simply says: "His fresco is still there. I have seen it." Please note: Ajit Vadakayil has done research into the Indian records and found Apollonius to be an Indian sage named "Apalunyan" whose travelling companion Damis, renamed himself "Jesus Christ". I wonder how the Indian Apalunyan and the Greek Damis got to know each other? I wonder why Damis would have chosen such a name? - "Jesus the Christós" (i.e. Jesus, the anointed) - Wikipedia. This would have provided some conflict between the travelling companions, surely? - if it were true, that is. It's not logical... and I must ask: Where is the documentation Ajit? This is Ajit Vadakayil's current position anyway... Through Damis adopting this name, Damis ("Jesus Christ") became famous while the Indian Apalunyan paled into insignificance. This is the version given in Vadkayil's earlier overview of this subject, dated Tuesday, October 27, 2015. However, in his later article dated Thursday, April 7, 2016 Vadakayil writes: "The Pope can no longer hide the truth, that until 325 AD (First Council of Nicea ordered by Roman Emperor Constantine the Great), Christianity or the existence of a messiah named Jesus Christ was unknown." Given that Damis ("Jesus Christ", ref: Vadakayil, October 2015) lived during the lifetime of Apollonius (4-97 AD), how is it that "the existence of a messiah named Jesus Christ was unknown" in 325 AD? There are some holes in Vadakayil's methodologies. Personally, I don't think the Indian version of events as presented by Ajit Vadkayil is the correct one. There's too much evidence to the contrary that shows Apollonius to be from Tyana. The title of Philostratus' work, "Life of Apollonius of Tyana" (c.220 AD) is a bit of a give-away. However, Vadakayil's interpretations and research will be read with interest by me. I have no doubt whatsoever that the memory of Apollonius (Apalunyan) will be well-preserved in India. I was expecting to find him with an Indian name at some stage as I dipped into this topic. And here he is already, "Apalunyan", less than a week into my search for the true identity of the fictional character, "Jesus Christ". Thank you Ajit Vadakayil for posting this name in your October 2015 article. You now leave me a significant "arrow" to follow in future investigations. Philostratus claims to have had access to Damis' memoirs, "Scraps from the manger" ...Philostratus states that his aim was just "to recast and edit Damis' essays, paying attention to the style and diction of them" ("Life" 1.2). Many modern scholars think the memoirs are a literary fiction. This is not impossible. Philostratus writes that Apollonius met his disciple in a town called Ninos... the capital of the legendary Assyrian empire, Nineveh. Note: Philostratus said that Damis remained with Apollonius until the end of his life ("Life" 1.19 and 8.28). Damis correctly describes Babylon as a "living city" ... Greek and Roman texts of the time stated that it was in ruins. In India, Damis describes a new notion of the relationship between kings and philosophers. Philostratus was not a philosopher but such thought can be expected in texts of a Pythagorean character - indicating that such a discussion did not come from Philostratus, but from Damis. Damis is aware of the Alexander historians, especially Nearchus. In an old Indian text, the Agamasâstra, Apalûnya, Damîça, Ayârcya and Prâvrti are mentioned. ie: Apollonius, Damis, Iarchas and Phraotes - the main characters of Philostratus' Indian account. "Scraps from the manger" were given to Philostratus by the empress Julia Domna. Apollonius departs Antioch and journeys on to Ninus (Nineveh). There he meets with Damis, who becomes his constant companion and faithful disciple. “Let us go together,” says Damis ("Life" 1.19). ... Damis was an enthusiast who loved Apollonius with a passionate affection. He saw in his master almost a divine being, possessed of marvellous powers at which he continually wondered, but which he could never understand... Damis advanced but slowly in comprehension of the real nature of spiritual science... he frequently states his ignorance of his master’s plans and purposes. See 3.15, 41; 5.5, 10; 7.10, 13; 8.28. This monastery was presumably in Nepâl; it is in the mountains, and the “city” nearest it is called Paraca.The chaos that Philostratus has made of Damis’ account, and before him the wonderful transformations Damis himself wrought in Indian names, are presumably shown in this word. Paraca is perchance all that Damis could make of Bharata, the general name of the Ganges valley in which the dominant Âryas were settled. It is also probable that these wise men were Buddhists, for they dwelt in a τυρσις - a place that looked like a fort or fortress to Damis. I have little doubt that Philostratus could make nothing out of the geography of India from the names in Damis’ diary; they were all unfamiliar to him, so that as soon as he has exhausted the few Greek names known to him from the accounts of the expedition of Alexander, he wanders in the “ends of the earth,”and can make nothing of it till he picks up our travellers again on their return journey at the mouth of the Indus. In AD 66 Nero issued a decree forbidding any philosopher to remain in Rome. 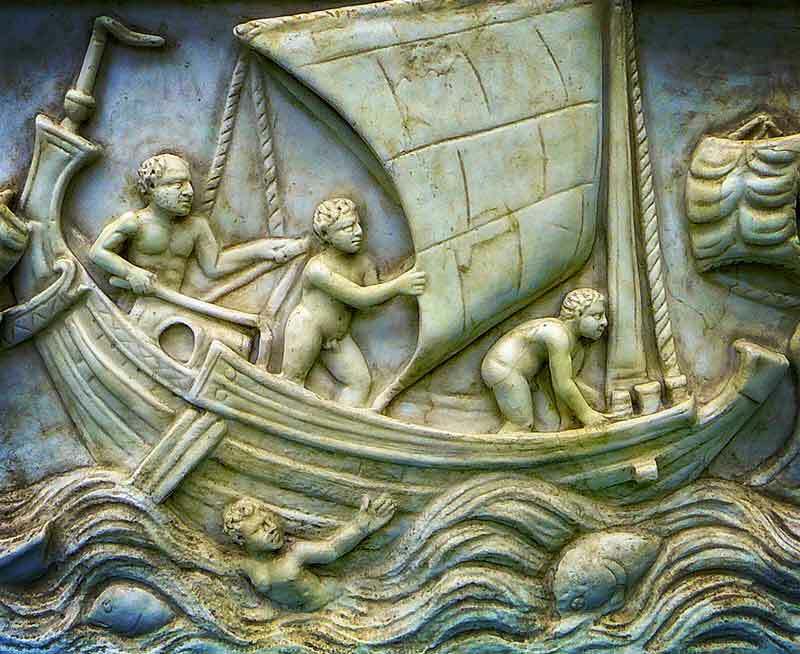 Apollonius returned to Greece (5.18), four years having elapsed since his landing at Athens from Lesbos (5.19). According to some, Apollonius would be now about sixty-eight years of age. But if he were still young (say thirty years old or so) when he left for India, he must either have spent a very long period in that country, or we have a very imperfect record of his doings in Asia Minor, Greece, Italy, and Spain, after his return. Now Vespasian was emperor from 69 to 79, and Titus from 79 to 81. 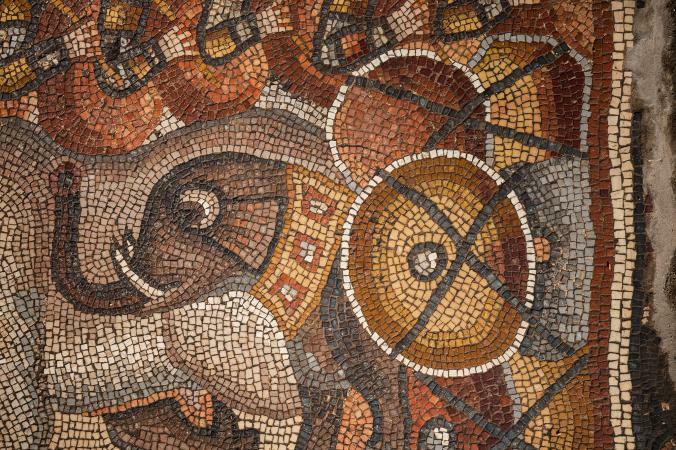 As Apollonius’ interviews with Vespasian took place shortly before the beginning of that emperor’s reign, it is reasonable to conclude that a number of years was spent in his Ethiopian journey... Therefore Damis’account is a most imperfect one. the “home of the wise men” - India ? Now Domitian was killed 96 A.D and one of the last recorded acts of Apollonius is his vision of this event at the time of its occurrence. The trial of Apollonius at Rome took place somewhere about 93 AD. We have a gap of twelve years from his interview with Titus in 81AD which Philostratus can only fill up with a few vague stories and generalities. Such then is the geographical outline, so to say, of the life of Apollonius, and even the most careless reader of the bare skeleton of the journeys recorded by Philostratus must be struck by the indomitable energy of the man, and his power of endurance.